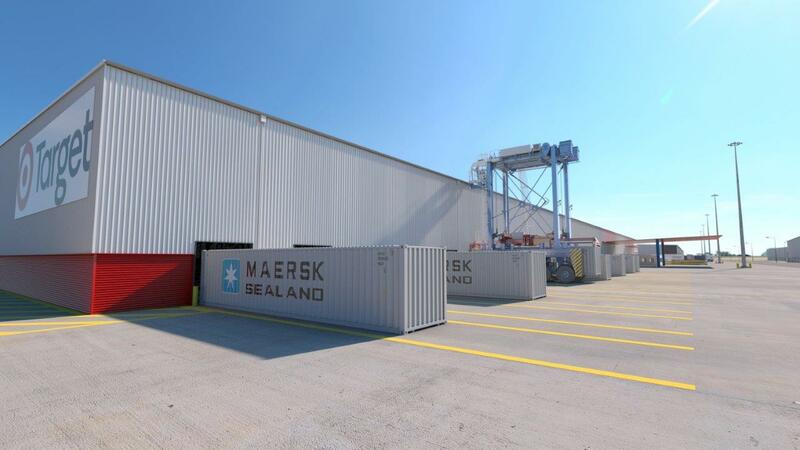 Would you like to see the latest progress in the construction of Australia’s largest intermodal freight precinct? Moorebank Logistics Park is taking shape. View our November project update video. 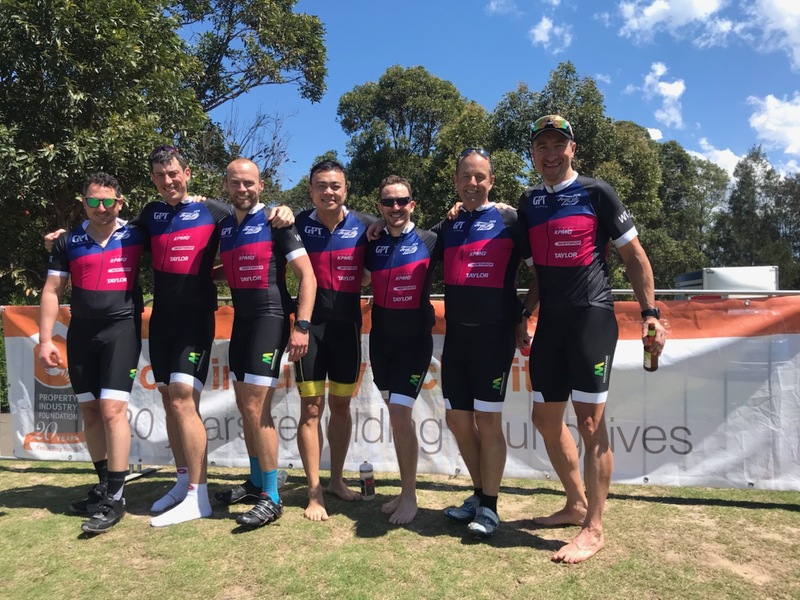 Congratulations to the Moorebank Logistics Park cycling team that completed the Tour De Pif Bike Ride today. The team raised $2,774.15 for the Property Industry Foundation. We hope it assists in making a difference by raising funds for the PIF House Program which will assist in building bedrooms and providing vital support for at-risk and homeless young people. Well done to all of our riders! The placement of the Super Tee Girders has commenced at Moorebank Logistics Park. 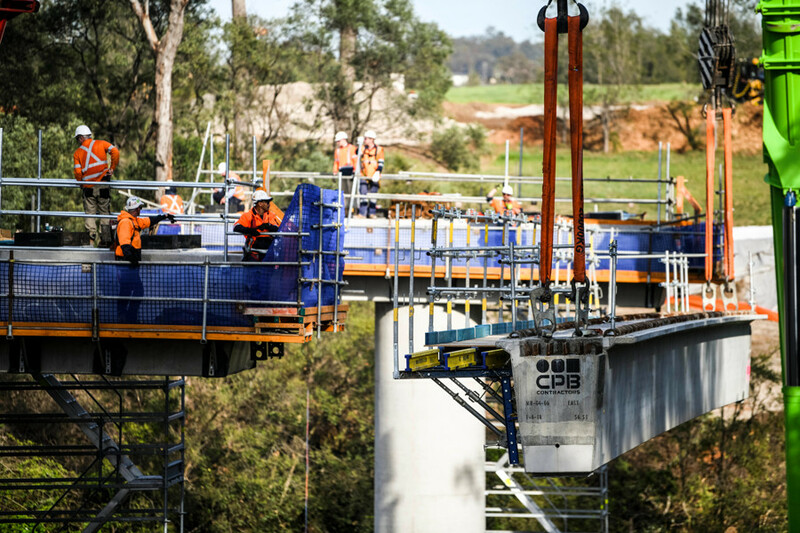 The rail access link will span the Georges River and when complete will be 180m in length. 12 girders, weighing 50 – 60 tonnes and 32 metres in length have been placed on the west of the precinct commencing development work to connect the Southern Sydney Freight Line (SSFL) with the IMEX and Interstate Terminals. Congratulations to our project and contractor teams CPB Contractors and Tactical Group. 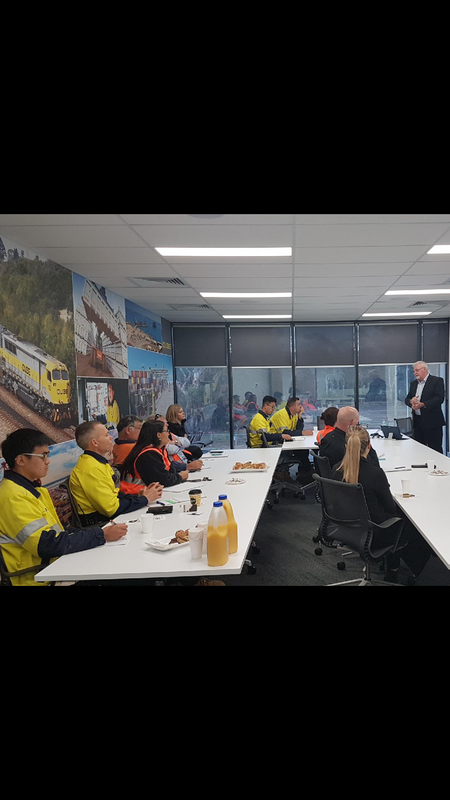 As part of National Safe Work Month, our contractors at Moorebank Logistics Park participated in the Zenergy Chain of Responsibility session. Paul Endycott presented “Chain of Responsibility into the Future – changes to Heavy Vehicle National Law”. A great turn out for one of our first group wide safety sessions. Just another day at Moorebank Logistics Park for our contractors Liberty Industrial. Demolition works are almost complete with the ex-parachute drying tower coming down in the eastern precinct. Watch the demolition in action. Congratulations to our IMEX rail terminal contractor Fulton Hogan at Moorebank Logistics Park on their recent support of the Buy a Bale drought relief fundraising campaign. The team raised $2,850 through workforce donations at an onsite BBQ. The money raised will purchase more than 140 bales for farmers impacted by the drought. 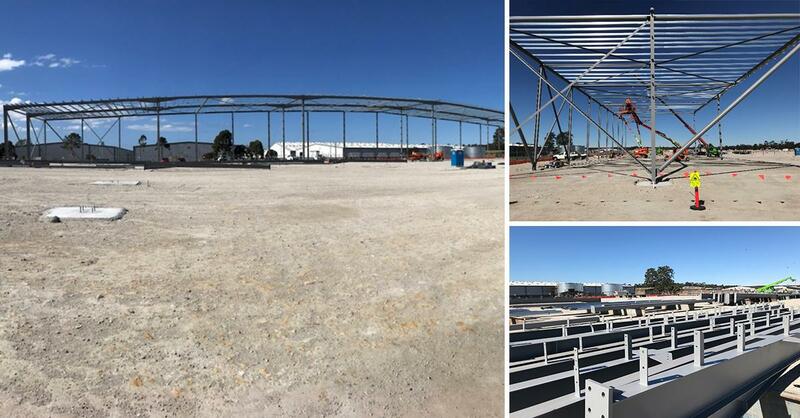 The Target Australia NSW Distribution Centre is taking shape at Moorebank Logistics Park with the first columns of structural steel erected this week. Qube is developing the 37,860sqm warehouse and office facilities with Hansen Yuncken appointed as builders delivering the state of the art facility. Target has indicated it will be investing in the latest technology scanning and sortation systems and has also agreed a 5 – year logistics services contract with Qube Logistics covering freight from Port Botany to Moorebank. Congratulations to all involved in this significant milestone. Qube Holdings is pleased to announce that it has reached agreement with Target Australia to develop major new warehousing at Moorebank Logistics Park, the largest intermodal logistics precinct in Australia.